Every school should be a safe place where children learn things and gets shaped for adulthood. Unfortunately, it is not always so – many children are afraid to go to school and bullying is a gigantic problem. Often, a teacher or mentor may be the only security a student has, but what if the children cannot even trust the adults? A Plainfield, Connecticut mom went furious after her son, 13-year-old son Derek, came home in tears after receiving a shocking ”price”. 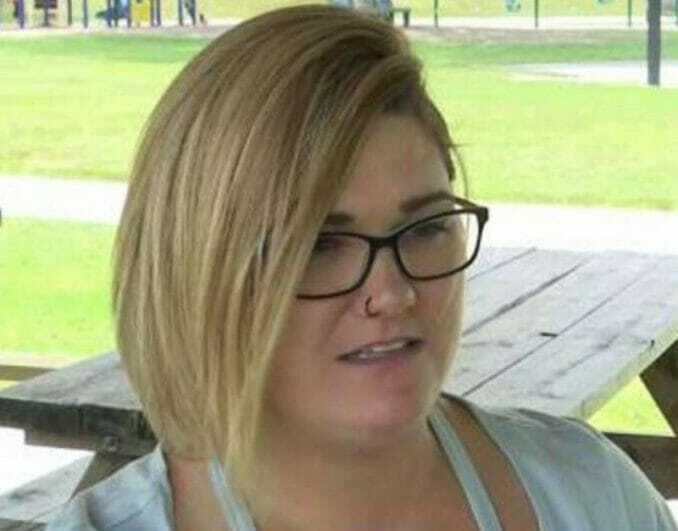 Tera Cooper was both confused and angry when her 13-year-old son Derek came home from school one day and showed what he got from his teacher. Derek, who is diagnosed with ADHD, had been given a so-called “award” by his teacher for being easily distracted, according to NBC4. 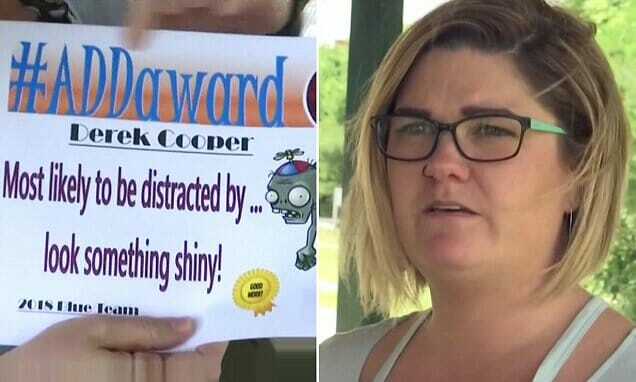 She had never met the teacher who gave her son the humiliating “award,” but Tera said the school and the teacher knew about Derek’s ADHD. “He is on a 504 plan at the school, so she is aware of it. I don’t know if she thought it was funny, but it’s not funny. She’s the teacher. It’s supposed to be a safe place,” Cooper said. A 504 plan is an educational plan that could include changes in a child’s educational program. The plans have been formed for students who would not need special education but qualify under Section 504 of the Rehabilitation Act of 1973, which prohibits discrimination against people with disabilities. But the family does not seem to buy that explanation. Tera Cooper talked to a lawyer about potentially taking legal action. “Hopefully we could make change and make the administration more involved in what teachers are doing and protect the students from having to deal with something like this in the future,” she said. 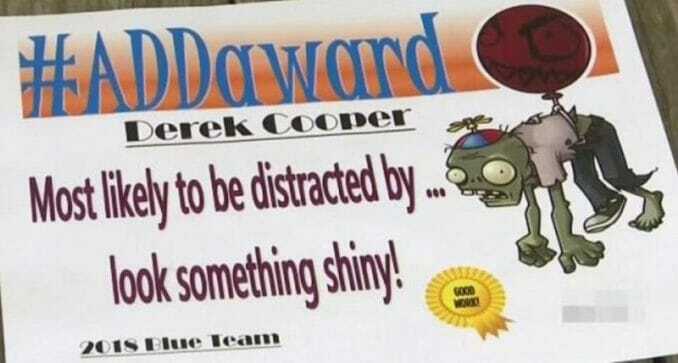 Derek did receive two other awards from the same teacher, one for being the most improved in social studies and one titled “#BermudaTriangle” that reads, “Most likely to borrow stuff and it never coming back!”. Derek told her mom told that a couple of other students received the ADD “award” too. You could see this regrettable debacle as a result of an out-of-touch teacher trying to be funny. But for me, still, it is inexcusable. I think 13-year-old Derek has enough trouble in school as it is and he certainly does not need his teachers making fun of his disability to boot. The teacher needs to apology in public to him, his family and the school – PASS this on if you agree!